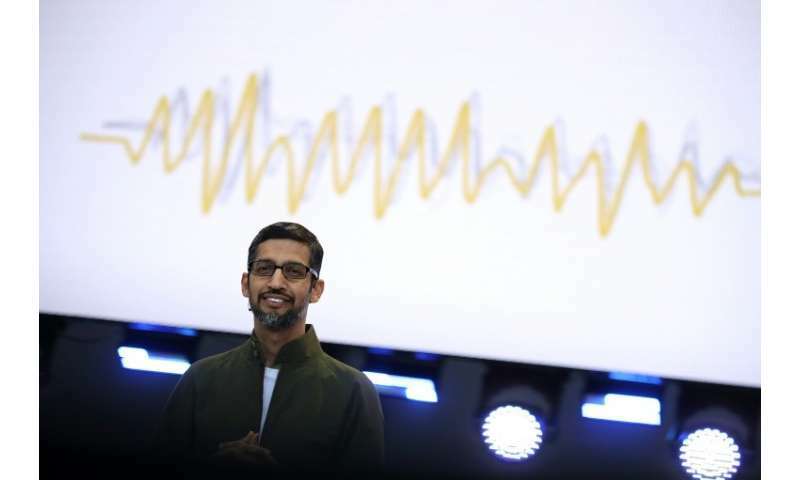 Google CEO Sundar Pichai unveiled new technology that enables the tech giant's digital assistant to sound like a real person, with pauses and "ums"
Google chief Sundar Pichai played a recording of the Google Assistant independently calling a hair salon and a restaurant to make bookings—interacting with staff who evidently didn't realize they were dealing with artificial intelligence software, rather than a real customer. Tell the Google Assistant to book a table for four at 6:00 pm, it tends to the phone call in a human-sounding voice complete with "speech disfluencies" such as "ums" and "uhs." 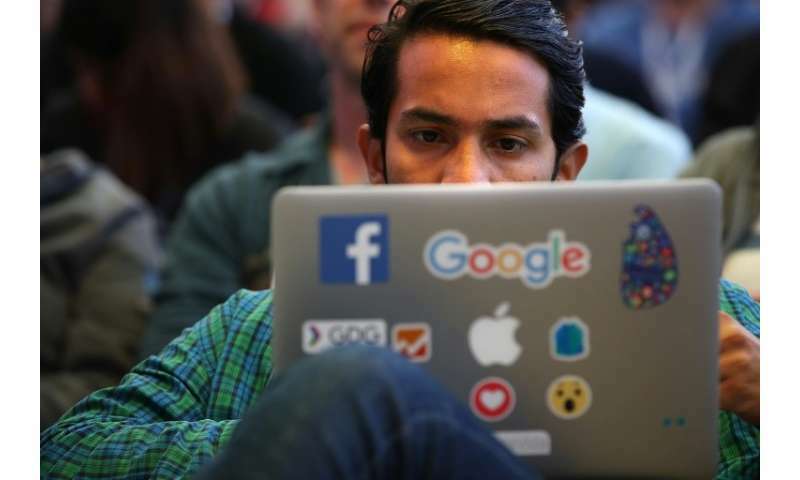 "This is what people often do when they are gathering their thoughts," Google engineers Yaniv Leviathan and Yossi Matias said in a Duplex blog post. Google Assistant artificial intelligence enhanced with "Duplex" technology that let it engage like a real person on the phone was a surprise and, for some unsettling, star of the internet giant's annual developers conference this week in its home town of Mountain View, California. "Our vision for our assistant is to help you get things done," Pichai told the approximately 7,000 developers at the Google I/O conference, along with an online audience watching his streamed presentation on Tuesday. "Google Duplex is the most incredible, terrifying thing out of #IO18 so far," tweeted Chris Messina, a product designer whose resume includes Google and bringing the idea of the hashtag to Twitter. Google Duplex is an important development and signals an urgent need to figure out proper governance of machines that can fool people into thinking they are human, according to Kay Firth-Butterfield, head of the AI and machine learning project at the World Economic Forum's Center for the Fourth Industrial Revolution. "These machines could call on behalf of political parties and make ever more convincing recommendations for voting," Firth-Butterfield reasoned. "Will children be able to use these agents and receive calls from them?" "My sense is that humans in general don't mind talking to machines so long as they know they are doing so," read a post credited to Lauren Weinstein in a chat forum below the Duplex blog post. "If you've grown up watching 'Star Trek TNG' like me then you probably considered natural voice interactions with computers a thing of the future," read a post by Andreas Schafer in the blog chat forum. "Well, looks like the future is here." "My sense is that humans in general don't mind talking to machines so long as they know they are doing so,"
That's because machines fail differently than humans. The AI still doesn't have an actual understanding of what it's saying or hearing - it has only a very elaborate book of rules on how to shift data around, like in the Chinese Room argument - so the machine fails in surprising and catastrophic ways. Its intelligence is "brittle", because it's not intelligence in the first place. For example, a person wouldn't buy you seven loafers and a bread if you asked for seven loaves of bread and there was some static on the line. Why would you want three and a half pairs of shoes? Of course, sanity checks can be added as exceptions, but because your AI is fundamentally dumb, it needs sanity checks on everything, and then checks on the sanity checks - after all, a one-legged man might actually want to buy just one shoe. Try explaining that to the robot.